An asteroid between 11 to 34 meters across (36 to 111ft), roughly the size of 10 jumbo African elephants, made a remarkably close approach to Earth on Monday morning, passing by at a distance only half that of the Moon. According to the Slooh Observatory, the space rock, dubbed 2017 AG13, was moving at about 10 miles per second, making it hard to spot with a telescope. “This is moving very quickly, very nearby to us,” Eric Edelman, an astronomer with Slooh, said during a live broadcast of the surprise flyby at 7:47am ET on January 9. — Slooh (@Slooh) 9 января 2017 г. The asteroid was initially spotted by the University of Arizona’s Catalina Sky Survey as recently as Saturday. If a “good size chunk of it made it through Earth’s upper atmosphere near a populated area, there might have been damage like we saw in 2013,” technology website CNET reported. Earth appears to be utterly defenseless in the face of comets and asteroids that bring little warning, a NASA scientist warned in December. The researcher believes building an interceptor rocket and an observer spacecraft could avert catastrophe. — Asteroids and Comets (@AsteroidMisses) 9 января 2017 г. “The biggest problem, basically, is there’s not a hell of a lot we can do about it at the moment,” Dr. Joseph Nuth, a researcher with NASA’s Goddard Space Flight Center, said at the fall meeting of the American Geophysical Union (AGU) in San Francisco, as quoted by the Guardian. In February 2013, Russia’s southern Urals Region was rocked by a meteorite explosion in the stratosphere. NASA said the shockwave force was equivalent to a 500-kiloton explosion. 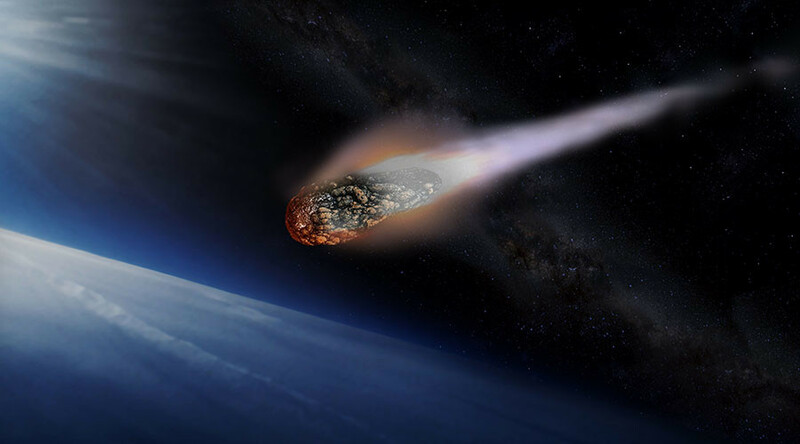 The 20-meter-wide (65 feet) meteor exploded over the town of Chelyabinsk. As windowpanes shattered throughout the city, around 1,500 people were injured, but luckily no one was killed. The impact wave damaged a number of buildings, blowing out thousands of windows amid the extremely cold weather. The US space agency has spotted over 90 percent of near-Earth objects that are larger than a kilometer. This is thought to be the required size for causing devastation on Earth. As of January, a total of 15,451 Near-Earth Objects have been discovered, according to NASA. An estimated 875 of these NEOs are asteroids with a diameter of approximately one kilometer or larger. Around 1,766 of these NEOs have been classified as Potentially Hazardous Asteroids (PHAs).